Superoxide Dismutase (SOD) is perhaps the most potent anti-oxidant known to man. It is an enzyme upon which a major part of the skin's defence system depends. It repairs cells and reduces the damage done by superoxide, the most common free radical in the body. SOD is found in both the dermis and the epidermis, and is key to the production of healthy fibroblasts (skin-building cells). It acts as both an antioxidant and anti-inflammatory, neutralising the free radicals that can lead to wrinkles and precancerous cell changes. Oxygen is the most important element of life for us humans. During its utilisation by the human body, oxygen gives birth to very reactive forms called "free radicals". Free radicals are destroyed by the body's natural defence systems, being the "antioxidants". Dietary antioxidants (exogenous): certain foods are rich in antioxidant substances like vitamins (Vitamin C, Vitamin E and Vitamin A or its precursor beta-carotene), minerals (Selenium, Zinc, Copper and Manganese) and other substances, including the polyphenols found in grapes and green tea. Enzymatic antioxidants made by the body (endogenous): the 3 main enzymes here are Super Oxide Dismutase (SOD), Catalase and Glutathione Peroxidase. Among these enzymes, Superoxide Dismutase intervenes in the first transformation by dismuting the most reactive forms of oxygen, which are the most dangerous for the cells, called the Super Oxide radicals. They are dismuted into ions that are less reactive, themselves destroyed by the two other enzymes. This transformation is called dismutation, thus the name Dismutase. If the body's defence mechanisms do not immediately eliminate the free radicals, the body's cells will suffer from an "oxidative stress" that will typically lead to or promote health problems including respiratory problems, memory loss, cardio-vascular problems, vision problems and arthritis. A supplement of SOD antioxidant enzymes, has revealed that the oral administration of SOD was inefficient due to the fragility of this enzyme, which is immediately destroyed by the gastric acidity. Moreover, concerns linked to sanitary risks led to giving up the use of bovine SOD, which at the time, was used by intramuscular injection, the only practical method. Thus a transdermal application of SOD is seen to be the most efficient way to supplement SOD antioxidant enzyme levels. 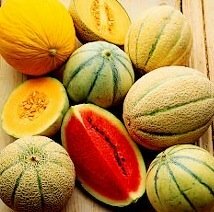 Produced from a variety of melon (Cucumus melo not genetically modified) that is naturally rich in Superoxide Dismutase, this is a particularly exciting addition to sunumbra® sport.